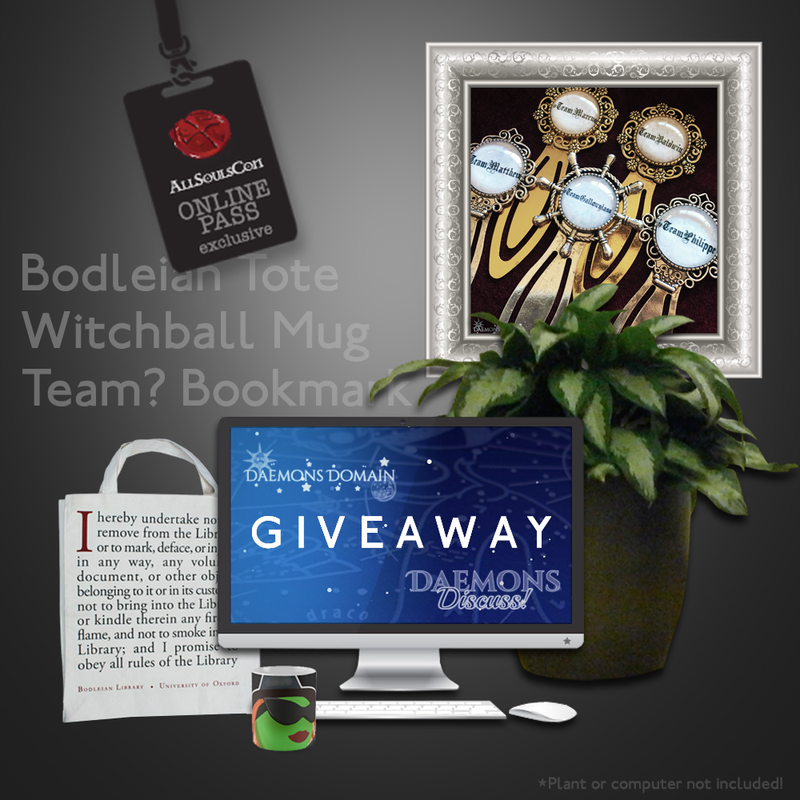 Up for grabs: Bodleian tote, glass cabochon bookmark & a mug featuring Sarah's witchball! Ok, online attendees of All Souls Con! This is JUST FOR YOU. This is our way of making sure you feel as included in the festivities as you can! There is ONE mandatory item, and that's the email you used to register to stream All Souls Con online. Social media share & follow items are completely optional, but they will give you more chances to win. Twitter users can enter daily until giveaway end. You can do just the one mandatory option, or add a couple of other options, or do them all! It's completely up to you! This giveaway is open internationally. Don't forget to read the terms/conditions at the bottom of the page, and enter! A Bodleian tote bag (click to view) featuring the declaration that every Bodleian patron must recite out loud prior to utilizing the facility: "I hereby undertake not to remove from the Library, or to mark, deface, or injure in any way, any volume, document, or other object belonging to it or in its custody; not to bring into the Library or kindle therein any fire or flame, and not to smoke in the Library; and I promise to obey all rules of the Library." * Special thanks goes to our friend Stephen for donating this item for giveaway - he's also going to throw in a surprise keepsake! 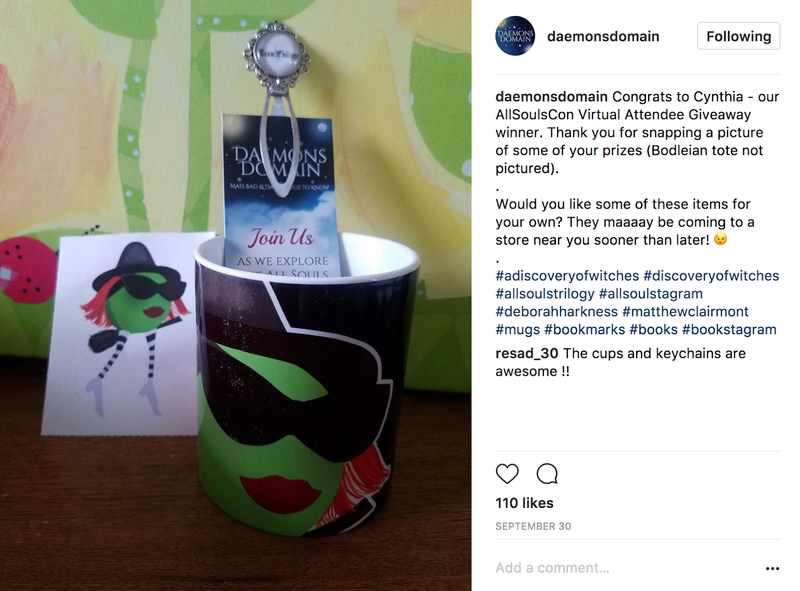 A Mug featuring Sarah's Witchball (click to view) * Daemon Designed! Winner's choice! A glass cabochon bookmark featuring the winner's favorite de Clermont team! (click to view) * Available: Baldwin, Gallowglass, Matthew, Marcus & Philippe; Daemon Designed!